Leap year February leapt to a close and the official start of spring is less than a month away! For some of you, it probably feels like it is much further off, but for us on Hilton Head Island, we know true spring is not far off for us! We’ve had glimpses of gorgeous spring weather and it’ll be here to stay soon. Daylight is lingering longer with daylight savings starting in about two weeks. As the mother of a social 11 year-old boy, I am very excited about Daylight Savings, both for him and me. Hilton Head Wine and Food Festival is a five day event of various events for the sophisticated wine enthusiast. The 31st annual festival kicks off with the popular Wine & Cinema. Throughout the week there are five Wine Tasting & Knowledge sessions (ranging from $45 to $100) to help you further understand and develop your love for wine. If a Harbour Town lover, the Sip & Stroll would appeal to you as it gives you the chance to stroll through Harbour Town while enjoying fine wines and discounts in the shops. The Grand Tasting, also the most exclusive of the events, takes place this year in the Harbour Town Clubhouse, enjoying the award winning wines, hors d’oeuvres and listening to live music. The final event and most popular is the Public Tasting with cooking challenge, bartenders challenge, waiters’ race, silent auction and of course the public wine tasting of over 250+ wines. Hilton Head International Piano Competition brings the best of worldwide young piano musicians to the area to compete for prizes from $1000 to $15,000. The grand prize includes a recital at the prestigious Carnegie Hall, a recording opportunity, and a return visit to the Hilton Head Symphony Orchestra and more. The 16 competitors come from 11 countries and are aged between 18 and 30.This truly is a remarkable experience to observe if you are a fine music lover. Pricing for the events are reasonable at $12, $20, $25 and $35. There are more expensive tickets available to the semifinals and finals but the above pricing still provides you the experience. Lowcountry Parade of Homes comes to the area again this spring with 18 featured custom homes and two communities open for self-guided tours. You can register for a tour pass on their website, download the Lowcountry Tour of Homes app or register in person at the Lowcountry Home & Garden Show being held the same dates (March 18-20) in Bluffton. Wingfest pits 15-20 restaurants against each other to compete for the 2016 Best Wings of Hilton Head. Come sample mouthwatering wing flavors and cast your vote for the 2016 People’s Choice winner. Besides yummy wings, there will be a variety of other foods available. 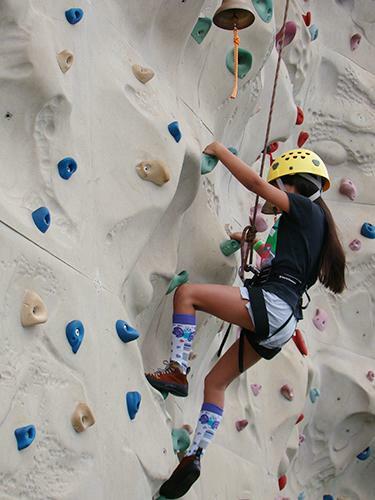 Live music, big screens for March Madness, a climbing wall, Kid’s Zone and more will also be on site during Wingfest. Purchase food and drink tickets at the entrance, redeem them where you wish and plan for a day of fun and food! Start the Wingfest weekend with the Wingfest Laser Light Show the night before the big festival. Spend a family friendly evening enjoying good food and drink, music, events and a wow-inducing laser light show once the sky grows dark. March Madness games will be on the big screen and attendees are encouraged to wear their favorite team colors. Symphony Of The Stars brings the Hilton Head Symphony Orchestra to the outdoors under a large, festival tent at the Coastal Discovery Museum at Honey Horn. Most of the seating for the two-night event is quite pricey, but this year the symphony has opened up outside lawn seating for $25 and concert only seating for $50-$60. Table seating will run you $70-$80. Patrons use the current year’s theme (this year is “Broadway’s Greatest Hits”) to inspire costumes, plan table decorations and dinner menus from gourmet to picnic as they compete for a variety of prizes. Adult beverages and soft drinks are available for purchase. Tickets inside the tent are limited, but lawn seating is available including on the day of the event. This is truly a memorable affair! Hilton Head Boat Show in its 12th year, is one of the premier in-water boat shows in the southeastern US. The boat show takes place in picturesque Windmill Harbour, right over the Hilton Head bridge. Sailboats and powerboats will be on display. Fishing and sailing demonstrations, kids clinics, and more will also take place on location while also providing you the opportunity to stroll from boat to boat and see some amazing watercrafts! These are just some of the events coming up in March and April here on Hilton Head. There are Saint Patrick’s Day parades and festivities in March on Hilton Head and in Savannah and of course the RBC Heritage PGA tournament in April. 2016 is already full of fun! We hope you are joining us on the island for spring’s beauty and local events. If not, we’ll see you later in the year. Right? If not, what’s holding you back? It’s going to be a great year on Hilton Head!